“If you’re equipped to handle the zombie apocalypse then you’re prepared for tornadoes, severe storms, fire and any other natural disaster Kansas usually faces,” Devan Tucking, of the Division of Emergency Management, said in a statement. 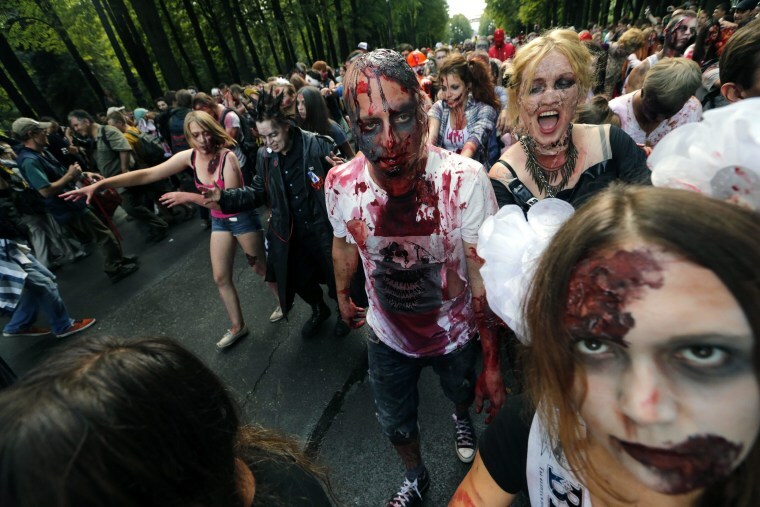 “This is a fun and low-stress way to get families involved, and past turnouts have proven it to be effective.” State officials said preparing for a zombie disaster involves coming up with an emergency plan and gathering adequate survival supplies. Gov. Sam Brownback will declare October to be Zombie Preparedness Month. Speaking of dead on its feet, how is Kansas' credit rating?